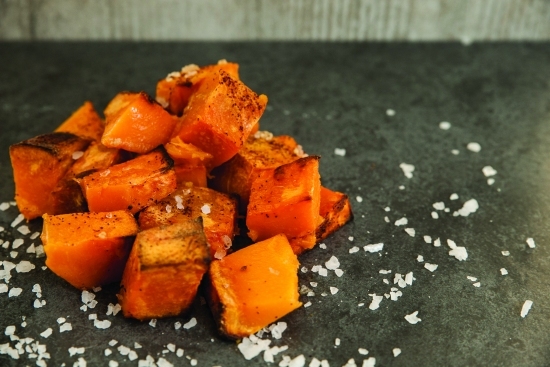 This perfect fall recipe will be a wonderful addition to your next BBQ. 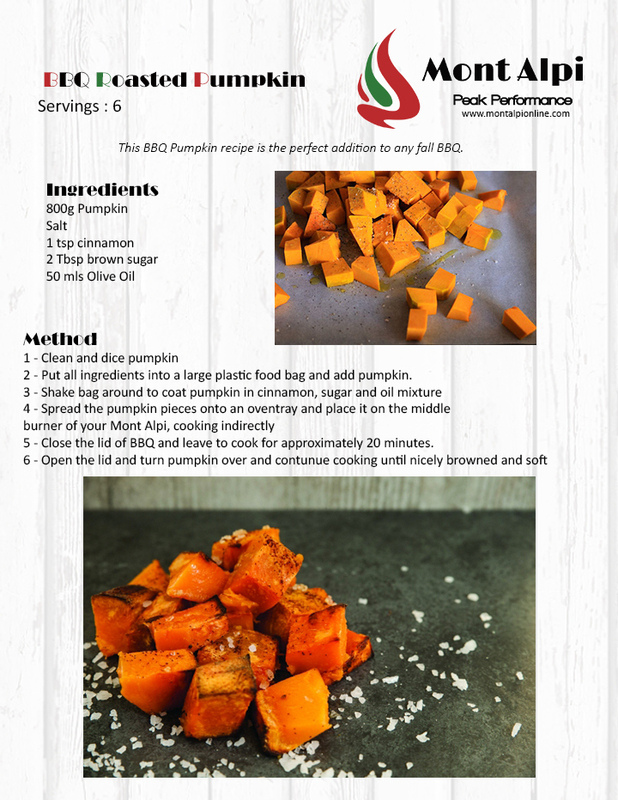 Don't let your pumpkin carving scraps be complete trash, use some of them to make this delicious roasted pumpkin. Clean, peel and dice your pumpkin. Once diced use a gallon food bad with a zip loc top. Put all the ingredients into the bag, close and shake. Once the pumpkin is evenly coated with all the ingredients spread it onto a baking dish. Prepare your Mont Alpi BBQ to cook indirectly. To do this, put the two outside burners on and leave the middle burner off. Place the tray onto the middle burner and close the hood. Cook for 20 minutes then open the hood and turn the pumpkin. Close the lid and continue to cook until nicely browned and soft.